physical examination « Howard J. Bennett - Pediatrician and Author in Washington, D.C.
What are the white spots in a newborn’s mouth? Parents often have questions about the things they see in their baby’s mouths. Here are the most common findings you may notice. Epstein’s Pearls. These are white spots on the roof of a baby’s mouth. They are usually the size of a sesame seeds. They disappear in a month or two. Bahn’s Nodules. These are white spots on the top or sides of a baby’s gums. They are bigger than Epstein’s Pearls, and parents sometimes mistake them for teeth. They disappear by 6 months. White or irregular gums. Some babies have smooth gums. Others have tiny ridges. The sides of a baby’s gums sometimes look white instead of pink. These are all normal findings. White coating on the tongue. Most parents are aware that newborns can get a yeast infection called thrush. However, if all you see is a thin, white coating on your baby’s tongue, it’s most likely from breast milk or formula. With thrush, you usually see cheesy-looking material on the inside of the cheeks and lips and on the roof of the baby’s mouth. Tongue-tie. This is hard for parents to see, but most have heard about it. The bottom of the tongue attaches to the floor of the mouth with a thin band of tissue called the lingual frenulum. In some cases, the frenulum is tight, thick or attaches near the tip of the tongue. If this happens, it may be harder for your baby to nurse properly. 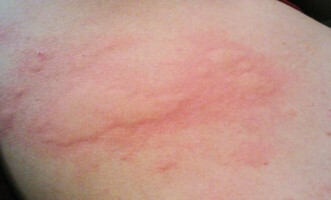 Doctors and nurses routinely check for this at newborn visits. In some cases, the baby will be referred to an oral surgeon or an ENT doctor to “clip” the frenulum. In my last blog, I mentioned that it takes 6 months for testicles to descend from the abdomen into the scrotum. If this process doesn’t occur properly, a baby will be born with an undescended testicle. (If the testicle can be felt in the inguinal canal, it’s referred to as a partially undescended testicle.) In many cases, an undescended testicle will drop to its normal position by 2 to 3 months of life. If this fails to occur, the baby will be referred to a pediatric urologist. Prior to puberty, a boy’s testicle is roughly the size and shape of a peanut. This fact, combined with an active scrotal reflex, often pulls the testicle into the lower part of the inguinal canal. We call this a retractile testicle. It’s not the same as a partially undescended testicle. In pre-adolescents, testicles commonly “hide” when boys giggle during the genital exam. The way doctors differentiate between a partially undescended testicle and a retractile testicle is to see what happens when the boy squats. During a squat, a retractile testicle will drop down so it can be easily pulled into the scrotum; a partially undescended testicle will not. If there is any question about this, your child will be referred to a pediatric urologist. If your child can’t get through the genital exam because he’s ticklish, there is a way parents can identify a retractile testicle without seeing a urologist. Have your child sit in a warm bath for about 5 minutes. Because the testicles are meant to be cooler than the body, retractile testicles will almost always drop down into the scrotum, which itself gets “baggy” in warm water. If you see or feel the testicles in the lower scrotum, you don’t need an appointment with a urologist. 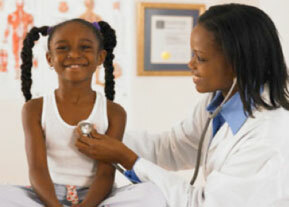 Children are encouraged to get regular checkups. In addition to answering a parent’s questions, these visits are meant to reinforce a healthy lifestyle and to screen for certain conditions based on the child’s age. For babies and toddlers, screening questions focus on nutrition, growth and development, and safety. For school-aged children, this focus is broadened to include exercise, academic readiness, and the management of common childhood problems. Adolescents need more independence and should spend some time alone with the doctor. Every checkup includes a physical examination where the doctor ensures the child is growing well and does not have any problems that could interfere with his health. Checkups are also accompanied by vaccinations to prevent the large number of serious diseases that children are at risk for. Children may not notice if they are not seeing or hearing well. 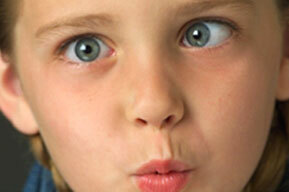 Research has shown that vision and hearing can change over a span of six to twelve months. The reason most pediatricians do not do blood tests every year is because the situation is different when it comes to blood work. Doctors routinely check for anemia (low blood count) at nine months and two years of age because the rapid growth of early childhood is a risk factor for developing iron-deficiency. However, if a child is healthy and has a healthy diet, the likelihood of developing anemia in elementary school is very low. This does not mean a doctor will not do blood work throughout this time period, however. But research does not support doing yearly blood counts on most children. Adolescent girls need blood counts more frequently because menstruation puts them at increased risk for iron-deficiency. While each of these tests is important, there is no reason to do them on a yearly basis. Each doctor will decide when to do them based on the child’s age and certain risk factors, which include family history, if the child has an underlying medical problem, and where the child lives. I have an article on helping children cope with doctor’s visits and shots elsewhere on the website. (Link: https://howardjbennett.com/medical-articles/help-your-child-cope-with-doctors-visits/) Today, I wanted to mention a simple technique that can improve the way medical visits go for toddlers and young children. For this to work, you need three things. An older child who likes seeing the doctor. A schedule that allows you to bring the older child to the toddler’s visit. A doctor who is willing to “examine” the older child first. It’s common for children to bring a “lovey” to doctor’s appointments to make the visits less stressful. Over the years, I have examined hundreds of stuffed animals from dogs to sharks to giraffes. The purpose of this fake exam is twofold. First, it shows the child you like to play. Second, it empowers the child so the visit is less threatening. During my 30 years in pediatric practice, I have noticed that an older brother or sister can do an even better job reassuring toddlers that a medical checkup isn’t the worst thing in the world. A cooperative sibling can help in situations where a stuffed animal cannot. Here’s why. Toddlers know stuffed animals aren’t real. However, if an older sibling says the ear exam doesn’t hurt, it may carry more weight. Younger siblings generally look up to their brothers and sisters and want to be like them. This encourages the toddler to overcome his fear of the examination. The presence of the older child may act as a distraction making it easier for the toddler to stay still during the examination. 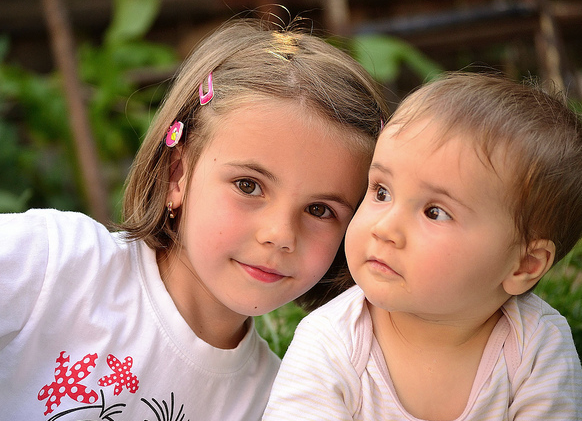 Although older siblings can help with the medical exam, they are less effective when it comes to blood tests or shots. Consequently, unless you have remarkable kids, I wouldn’t ask the older one to tackle that task.